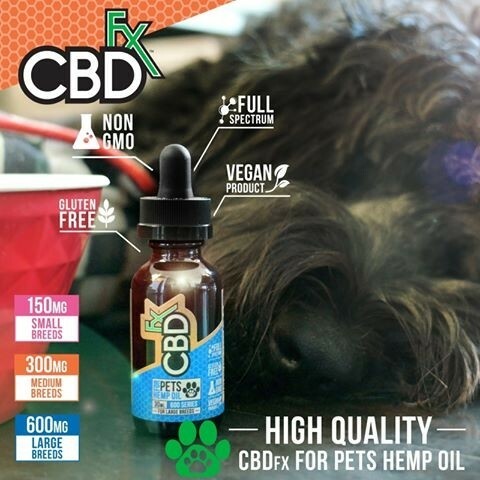 Vegan, non-GMO, gluten free and nutrient rich, this full spectrum CBD oil from CBDfx is ideal for small breeds of cats and dogs who need a daily CBD supplement. 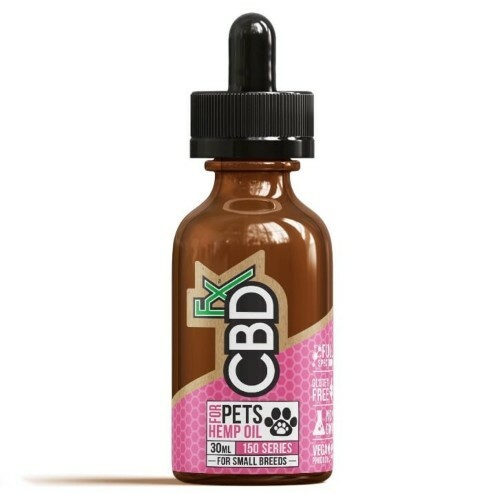 Each bottle contains 150mg of CBD and without a doubt, it's a premium quality pet's hemp oil, contained in a 30ml bottle with an easy to use dropper ideal for daily use. Can be administered directly onto your pet's tongue, or mixed in with their food - it has an earthy taste. We also stock 300mg bottles for medium breeds and 600mg for large breeds.